sailboat. : Everyday Foundation Routine. 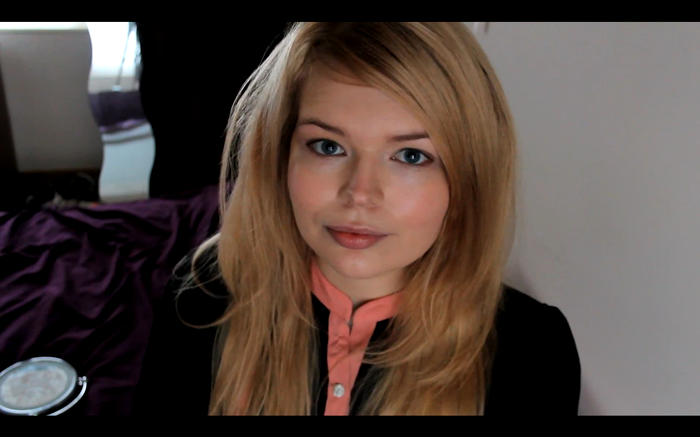 Totally forgot to take a proper photograph of my make up, sorry for the video still! Note to self, must try harder! 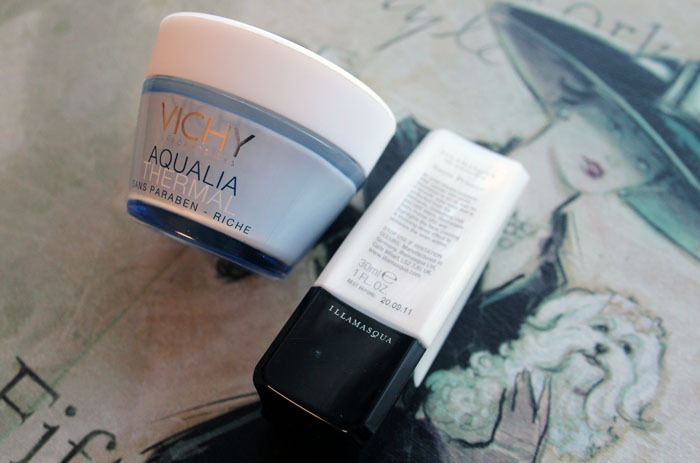 For the last couple of months I simply haven't been able to start my make up routine without using the Vichy Aqualia Thermal Rich Moisturiser and the Illamasqua Satin Primer. These two products work amazingly well together and my foundation never goes on as smoothly if I skip one of these products! Foundation wise, the star of the moment is of course, Bourjois Healthy Mix Serum. I'm sure you're all getting sick of me mentioning it all the time but honestly, I'm so in love with it! The coverage is wonderful, it blends so quickly and easily and the colour is pretty perfect for me which is always a good thing! 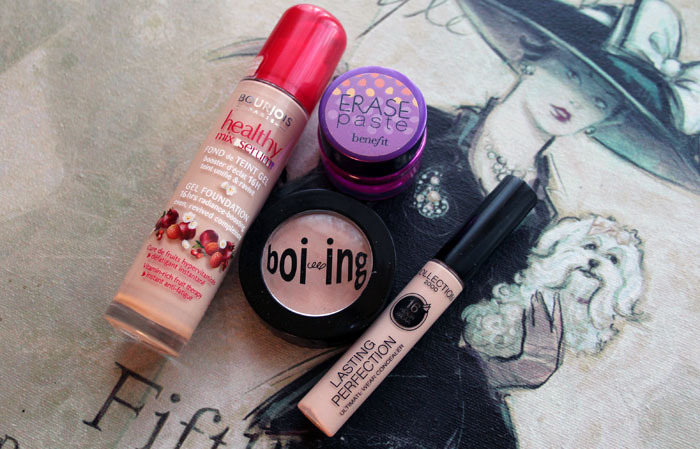 Concealer wise, there are a few I really love. In the video I'm going to embed at the end of this post I use all three of these, Collection 2000 Lasting Perfection, Benefit Boi-ing and Benefit Erase Paste. On the day I filmed my foundation routine video my skin wasn't looking so great, as you will see, but hopefully it gives you a pretty good idea of how well they work! Another Bourjois product I'm head over heels in love with is the Delice de Poudre bronzing powder and I use the shade 52 which I believe is the middle shade, but don't quote me on that! I use this with an ELF Complexion Brush and I love the way it helps to really sculpt my face without looking too fake and just a bit, well, odd. No one likes looking odd! For my blush that day I opted for MAC Something Special Cream blush which is the perfect peach shade & I popped a little bit of NARS Douceur over the top, because one blusher is never enough for me! I'm pretty obsessed, but obviously my blush shade changes from day to day! Which products are featured in your current every day foundation routine? I'd love to know what you're reaching for at the moment! 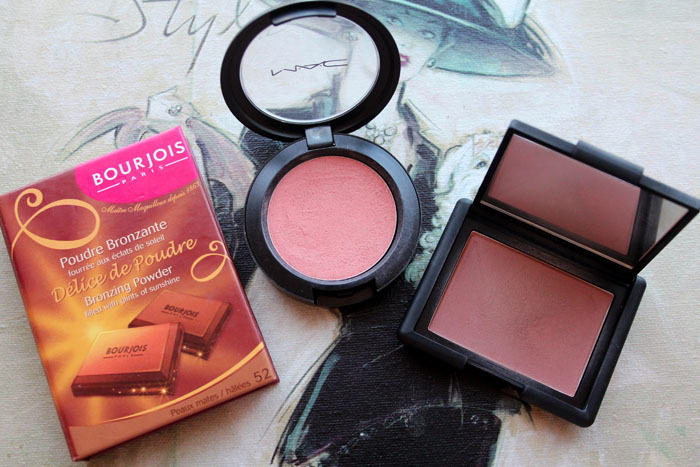 that mac creme blush looks lovely! Love how you cover up your under eye area with the collection 2000 and boiing. I have awful dark circles so will definitely be giving it a go. Looks lovely, I really want to try that foundation, I was looking at the other day but didn't pick it up, I'll have to go back! Is the Bourjois Health Mix a build able coverage type foundation? That something special blush looks gorgeous!!!!! Fabulous vid Jennie! Thanks bunches for sharing your routine!